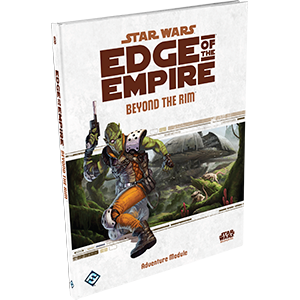 Beyond the Rim is the first full-length adventure for the Star Wars®: Edge of the Empire™ Roleplaying Game. When new rumors add credence to old smugglers’ tales of a long-lost Separatist treasure ship, it’s time for a handful of intrepid explorers, scrappy smugglers, and cunning academics to fire up their hyperdrive and embark upon a fantastic journey to the farthest regions of the Star Wars galaxy. Fantastic adventures await those who seek to discover what really happened to the Sa Nalaor!